Top-Selling House Plans of 2018! The numbers are in, and they speak volumes about the top-selling house plans of 2018! Versatility was key in this year, with open-concept home plans being both entertainment and family friendly. Some long-time favorites were back, while a few brand-new home plans made enough of a splash to make the list as well. 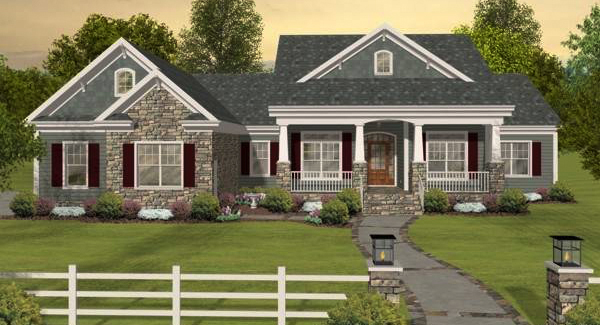 Customers and builders agree, you need to see these top-selling house plans, because one of them might just be the one you’ve been searching for! 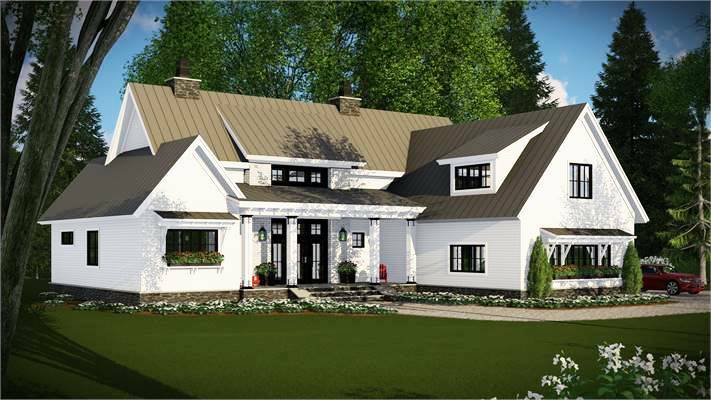 Large 4-Bedroom Modern Farmhouse – The Top-Selling House Plan of 2018! Coming in first among house plans sold in 2018 is this two-story modern farmhouse! And would you believe it was brand-new this year? Customers just can’t get enough of this spacious open-concept home. With the master bedroom and home office on the main floor, it’s perfect for aging in place and working on your own schedule. You’ll also love the large pantry and mud room to keep things tidy at all times! Be sure to check out that incredible outdoor living space, too, because it has easy access from the spacious great room and a full bath tucked by the garage for a pool or backyard barbecue guests. Let the kids play without worrying about the mess. The upstairs of this home becomes their zone! There’s a Jack-and-Jill bath between two bedrooms, as well as a third bedroom and hall bath across the loft. The loft and bonus area allow them to play at will, without bringing their clutter downstairs. 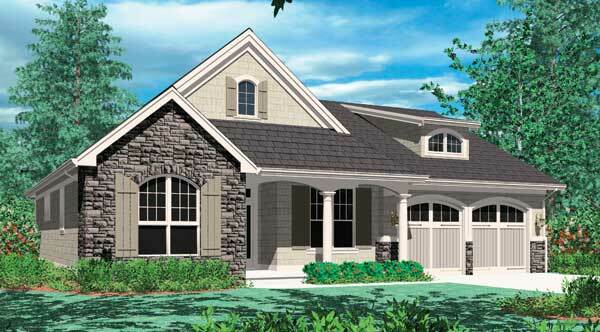 Versatility in this three-bedroom cottage makes it the perfect forever home, and an obvious choice for our list of top-selling house plans. The flex space is often used as a formal dining room, while the office/media room is perfect for the at-home worker, guests, or to be used as a family bedroom. A split-bedroom design gives the master its much-needed privacy with a luxurious en-suite and sitting nook for quiet mornings. For future growth, a large bonus room and full restroom are found above the garage. New in 2018, this modern farmhouse is a must-see! Designed to be perfect for any neighborhood, the bright living room’s twelve-foot ceilings take your breath away. Dinner and a show can be taken in by guests at the ample island – the centerpiece of this chef’s kitchen. A huge walk-in pantry and generous mudroom keep things tidy and provide plenty of storage space in this top-selling house plan! 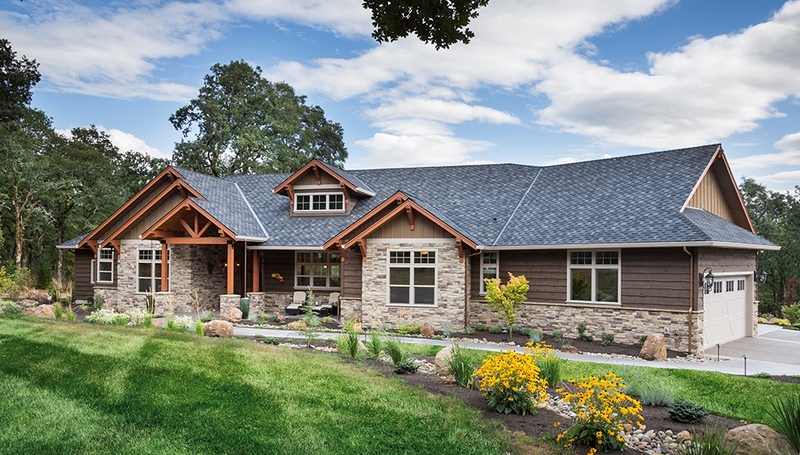 Our customers love to see traditional tastes live on in this Southern-style ranch. 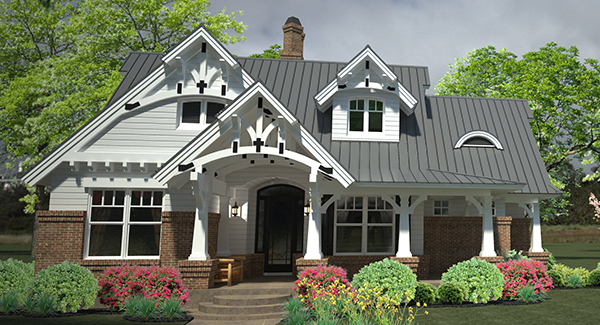 This long-time popular home is one of our top-selling house plans once again. Dual living spaces create the perfect environment for both entertaining and everyday use! Family and friends will love to gather in the family room, with its tall ceilings and fireplace feature. The spacious country kitchen is perfect for a quick breakfast or casual meal. A formal dining area offers elegant flair, while the formal living room is the perfect media space or parlor. 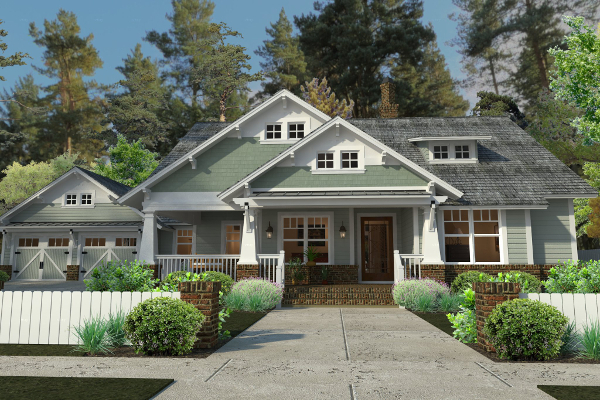 You’ll enjoy the elegance of a formal entry in this compact Craftsman. Leave your things in the foyer’s coat closet and make your way to the open-concept main living space in the rear of the home. Elegance continues through this open great room, with large windows to let in the light and a fireplace to create a warm glow in the evening. A vaulted ceiling brings life to the master bedroom, which also boasts a walk-in closet and private en-suite. A partial wraparound porch gives this Craftsman-style bungalow some country flair. From here, enter a formal foyer that leads to a beautifully open-concept kitchen and living room. Keep it cozy and enjoy a meal in the eat-in kitchen’s nook, or travel to the lanai for some outdoor relaxation. Three bedrooms with walk-in closets and a study make this family home incredibly versatile. One plan, two incredible options! 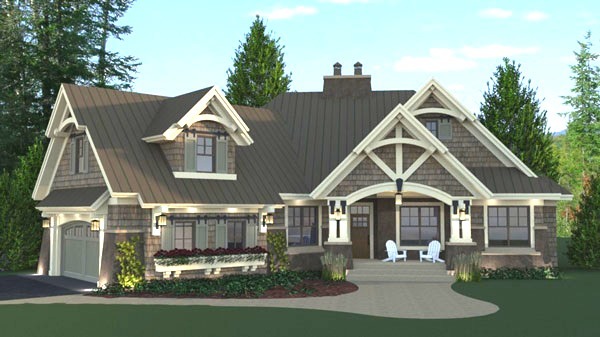 A customer favorite for years, this top-selling house plan feels like something from a fairy tale. From the beautiful exterior dormers, to bright windows and French doors inside, exquisite craftsmanship will never cease to impress. Don’t forget to check out the new spin on this fan favorite! 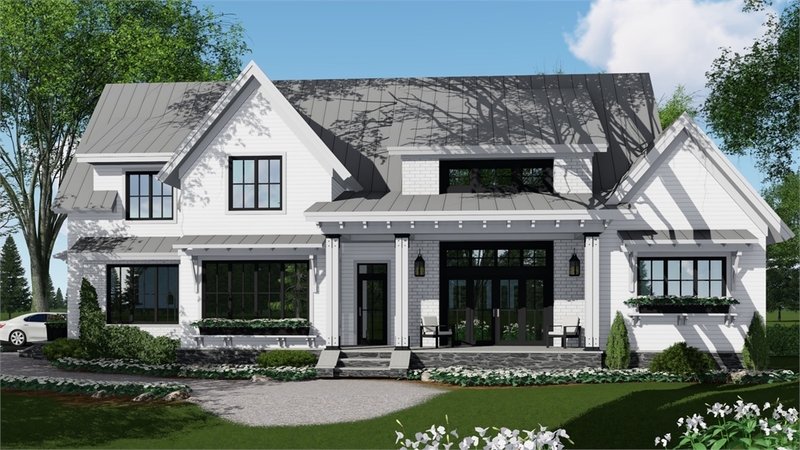 A new country farmhouse façade has customers flocking to this home plan all over again – they were actually sold in equal numbers in 2018. You’ll enjoy access to the rear lanai from the master suite, after freshening up in your private en-suite, in the architecture of your choosing. And a growing family is not a problem! A large upstairs bonus allows for plenty of growing room. 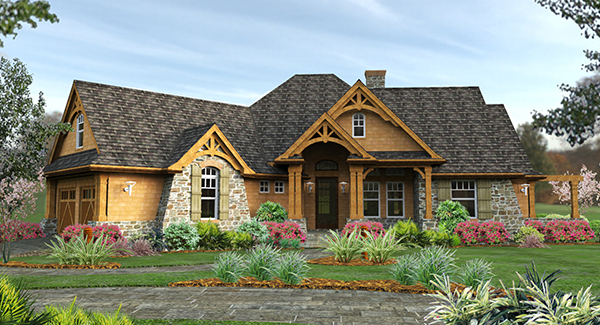 Beautiful craftsmanship with high-end highlights create this unique top-selling house plan. Relax in style in the elegant master suite. A split-bedroom design allows for privacy from the two additional family bedrooms – one boasting an attached restroom. Cooking dinner becomes a treat in this gourmet kitchen. Incredibly spacious and open, the main living space feels homey with beam accents and an incredible fireplace feature. 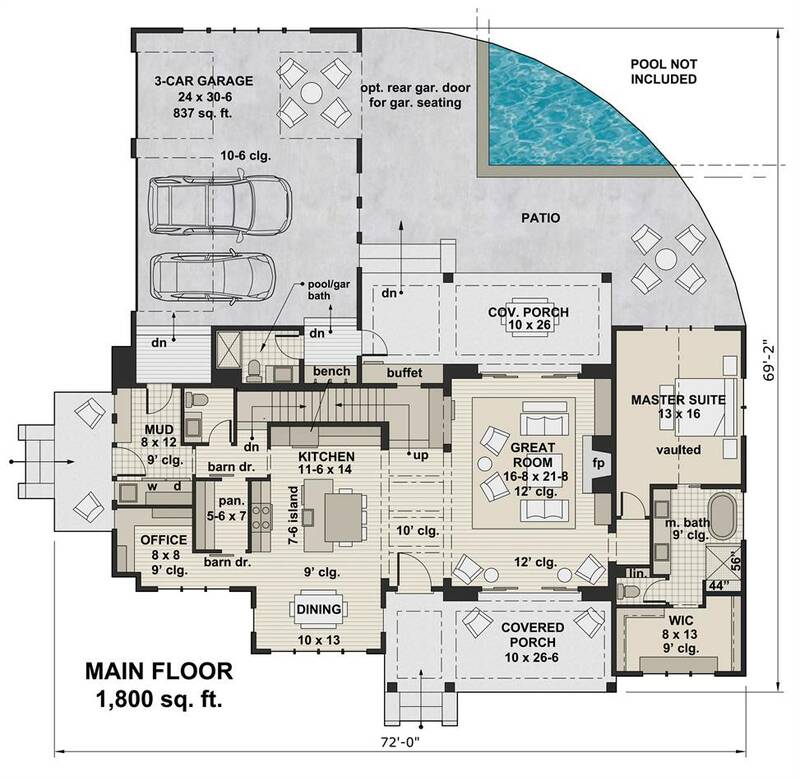 Perfect for a growing family, this top selling house plan has incredible versatility. 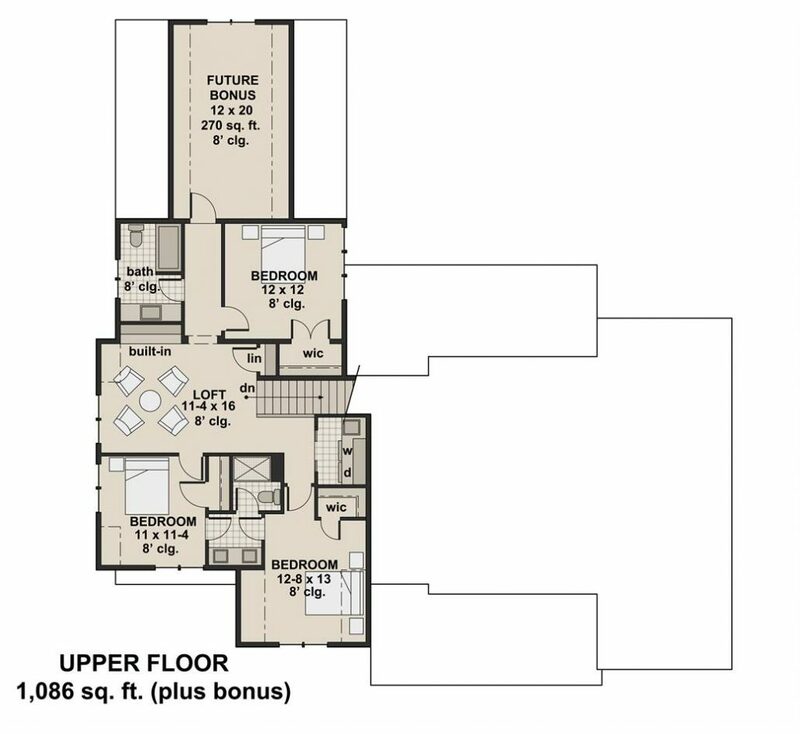 Three bedrooms, a media/study, and a generous bonus above the garage mean there’s plenty of room for the entire family. Peel off hats and coats in the mudroom as you enter from the garage, keeping things organized. Gather together for a formal meal in the dining area while enjoying the ambiance of a double-sided fireplace. Then, move the party outside to a generous outdoor entertaining space. You’ll love this home from every side! Now that you’ve (hopefully!) found your dream home, check out these New Home Product Ideas, to make sure that you truly create the home of your dreams! Bookmark this article Top-Selling House Plans of 2018!